Why do you want quality, custom-made cabinets in your kitchen? The answer to this is pretty simple – they’re beautiful, efficient, functional and meet your specifications precisely. They also provide the storage you need for pots, pans, plates, cups and other kitchen items. However, you have items that need to be stored in other rooms too, right? Thanks to the options available for modern custom cabinets, you will find they also make great additions to other parts of your house. Looking for some innovative and effective ways you can implement cabinets into other parts of your home? If so, keep reading. While parents with a playroom are lucky enough to have a location to keep all their kids toys (and mess), it is still necessary to have a way to keep toys organized and neat when they aren’t being used. 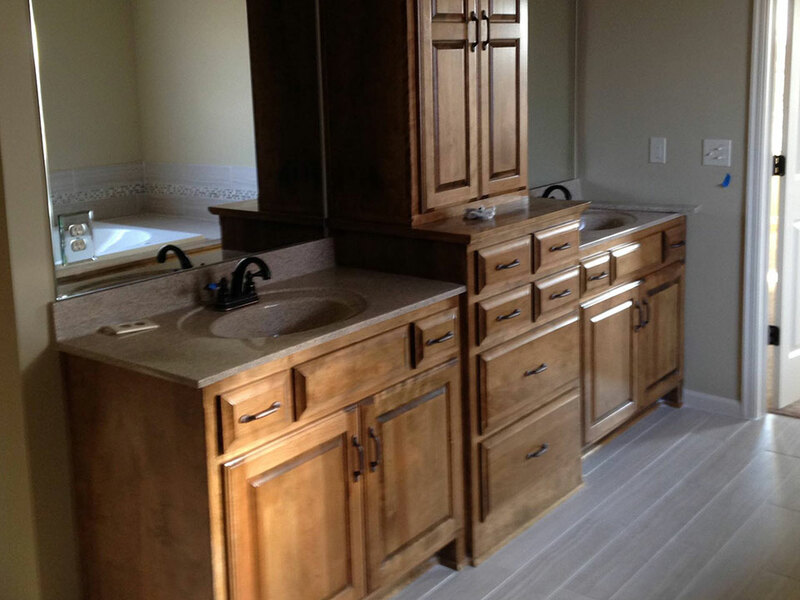 With built-in custom cabinets, you can ensure this job is done. You can even give each of your children their own cabinet. While you may have a dresser in your child’s room, think about the last time they actually put their clothes inside. A better option is to purchase built-in custom cabinets. They can put their clothes in the cabinet, rather than a dresser, and have a surface to use as a desk, for display and a wide array of other purposes. There are more than a few beautiful laundry rooms and mudrooms that have been made extremely efficient by using custom cabinets. With built in cabinets, you can keep these spaces neat and organized, while making sure that everyone has a place to put their things you don’t want in the rest of the house. Yes, you likely already have a few cabinets in your bathroom, but is it really enough storage? If the answer is no, then it is time to add a few more custom cabinets to the case. They can even help make a smaller bathroom more efficient by getting rid of clutter that may otherwise be present. Have you ever visited an older home and marveled at the efficiency offered by the built-in cabinets present in the dining room? It makes you wonder why homes are no longer built this way. It really makes sense – you can have your dishes where they are used, rather than having to gather them from the kitchen. The good news is, you can recreate this efficiency with built-in custom cabinets that will look and work just like the ones from the past. As you can see, cabinets aren’t limited to just your kitchen. If you think outside the box a bit, you can likely come up with a few other ways that custom cabinets can be used in your home, helping to make it more organized, more functional and more efficient. In the long run, this will help lead to a happier home.